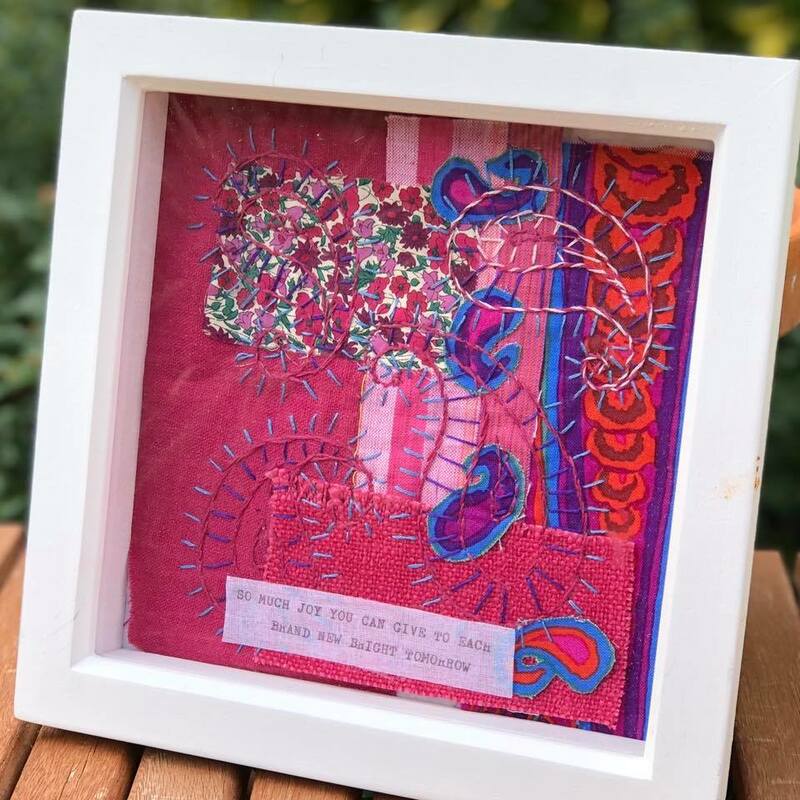 Absolutely stunning stitched fabric collage picture, beautiful in reds, pinks, purples, blues. Comes in white wooden box frame and measures 20cm by 20cm. Gorgeous!